Did you know that there are already 700 types of cryptocurrencies already available? Did you know that Bitcoins that were traded at $1 each in 2011 is worth $6,000 each? But that’s not all about the blockchain technology. Its possibilities spread far beyond Bitcoins and cryptocurrencies. Everyone knows by now that blockchains are closely related to digital currency. Bitcoin is only an application of the Blockchain technology. But think of it, if cryptocurrency adopts blockchain, it has to be secure! Blockchains and bitcoins are in use since 2008, though they gained popularity recently. Blockchain is a distributed technology that uses cryptography to secure every transaction that it handles. Every piece of information passing through a blockchain has to undergo multiple levels of scrutiny. Whether this technology is used to store information or to deal with cryptocurrency, the database is distributed and offers authorized access to users and admins in a shared mode. The actual data will be reconciled continually which makes sure that every user accessing the information gets the latest version possible. Since the data is shared and stored in different servers across the network, hacking the information becomes almost impossible. Blockchain uses the distributed database technology to store information. Data is spread across various servers which keeps checking for authenticity upon every receipt of information. Every packet contains a cryptographic lock and key mechanism, which is cross-verified at every destination of data. The entire transaction data can be traced back without much effort. This makes Blockchain secured over a distributed network. The sender sends money as a block. The block is sent to every party on the blockchain network. When everyone approves of it, this block is added to the existing chain of money transactions which cannot be modified. Any modification requires the approval from all parties in the blockchain. The block of money is entitled to the receiver now. This same technology can be used to transact data also. Since the transaction is shared across a public journal, the chances of fraud are minimal. If any user disapproves of the transaction, with a valid reason, the transaction will not be valid. 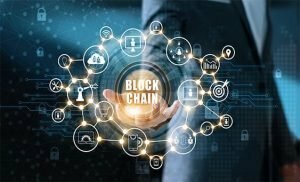 Blockchains offer many advantages to the users. Blockchains are much in demand because of the unmatched advantages they offer. We know that blockchains use a distributed database. This makes sure that the original data is never affected without authorization while also providing access to the creators and users or nodes as they are called in the blockchain technology. Every node gets access to the latest version of information from the distributed database. Being a distributed database, data is stored across many servers on the network. Each server is a node. Any change to the data has to be approved by all the nodes to authorize the change. This offers very little scope for fraudulent access and updates to the data. That’s the reason blockchain is considered very secure and cryptocurrencies use this technology. Blockchain is transparent! The technology is open source. Every node comes to know about the changes and transactions happening and needs their approval to complete it. Being an open-source technology, any change is visible to thousands of users at any given point and any discrepancy they find will be reported immediately. This makes blockchains more transparent. With blockchain technology, the transactions are peer to peer. There’s no need for the middlemen like the transaction gateways or banks. Further, the entire system is run by the users without any intervention from third-parties. These reduce the transaction cost over time. Banking transactions sometimes take their own sweet time to complete. There are authorizations required and additional formalities to be complied with for completing a transaction involving a bank. If one of them fails, the entire transaction fails. Since blockchains avoid the banking gateways completely, avoiding the middlemen, the transactions are direct and get completed faster. While the whole world knows that blockchains are used for transacting cryptocurrencies, here are some more domains where the blockchain technology is being used. Every government deals with bulk information about the citizen, their needs and the governance matters. These are sensitive information which needs to be carefully sorted, stored and accessed. Blockchains will offer the most cost-effective, secured and transparent way of managing governance data. In supply chain, tracking the goods in transit and inventory is very essential. With blockchain in use for supply chain, the authorized people will get direct access to such information without having to wait for a third-party. End to end supply chain details can be managed by blockchain technology. Digital voting may be tampered. But blockchain technology makes digital voting incorruptible. Since every data modification goes through thorough verification, voting cannot be tampered with when blockchains are used. The fact that anyone on the network can audit the voting, makes it less susceptible to tampering. Cloud storage is already quite popular among data-centric businesses such as banks, telecom and educational firms. But cloud storage is centralized and involves large investments. Blockchain technology offers better security, distributed storage and a more cost-effective alternative to conventional cloud computing. Blockchains can make stock exchange transactions faster and more secured. The usual delay for stock transfer and settlement can be avoided with blockchain technology. People are using many messaging apps and the telecom networks extensively to pass on information. Even though most of the networks claim to be secured, very few are actually as much secured. 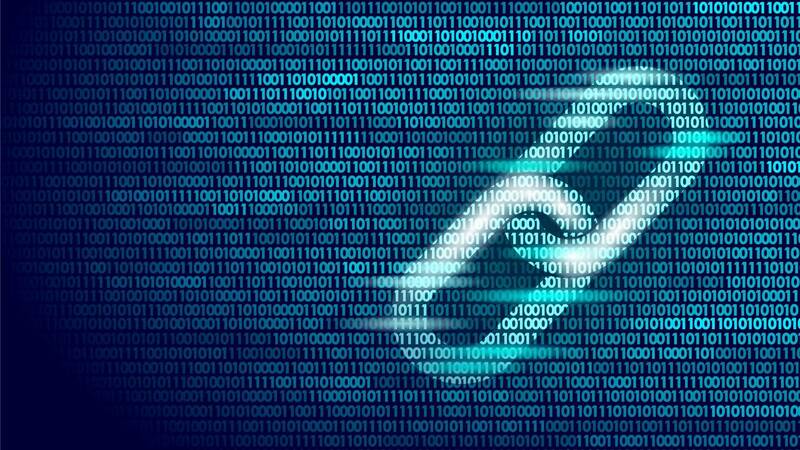 Blockchain technology can be used for encrypted messaging for better safety. Real estate documents are very important. They hold high value and involve extensive processing to complete title documentation and rights transfer. Blockchains will make real estate documentation faster, less expensive and more cost-efficient. The most common fraud, corporates and companies face is in accounting. When the ledgers are available to different people for different data entry, it is more susceptible to fraud and human errors. Blockchain makes accounting more authentic and accurate. Instead of maintaining different copies of ledgers, a common distributed ledger can be maintained, which makes the consolidated accounting data instantly accessible to the management. Smart contracts can be implemented using blockchain technology. The contracts can be created and created, validated, authorized, and maintained online which make them quicker to execute and manage. These can be used to apply the credits and to automate transactions. The recent hacks and data leaks happening on popular social media websites can be avoided completely with blockchain technology. Decentralized social media networks such as Steemit resolves such issues and offer engaging content to the users. For sustainable on-grid energy solutions, blockchain technology can be implemented for power supply. They help in constantly and accurately tracking the usage of clean energy over the grid. Global transactions these days need a third-party payment gateways that charge a significant fee for every transaction. With blockchain technology, such third-parties can be completely avoided in global transactions and they will be more secure, faster and less expensive.